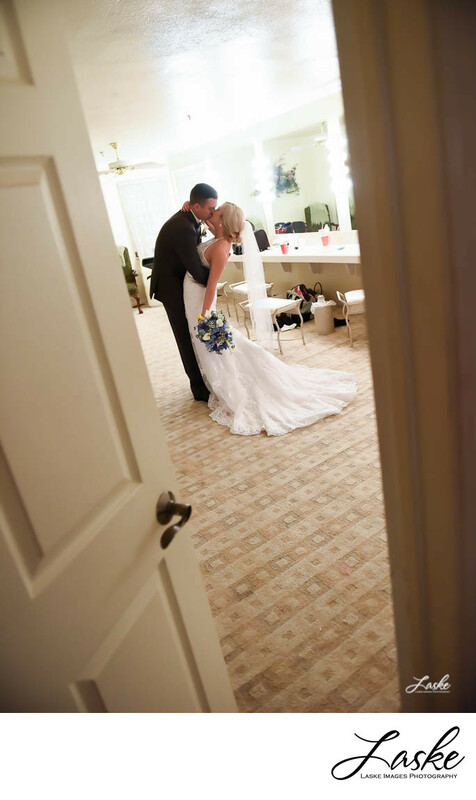 Bride and Groom Kiss in the Bridal Suite at Walnut Creek Wedding Chapel. The door is opened slightly. 1/125; f/3.2; ISO 3200; 24.0 mm.